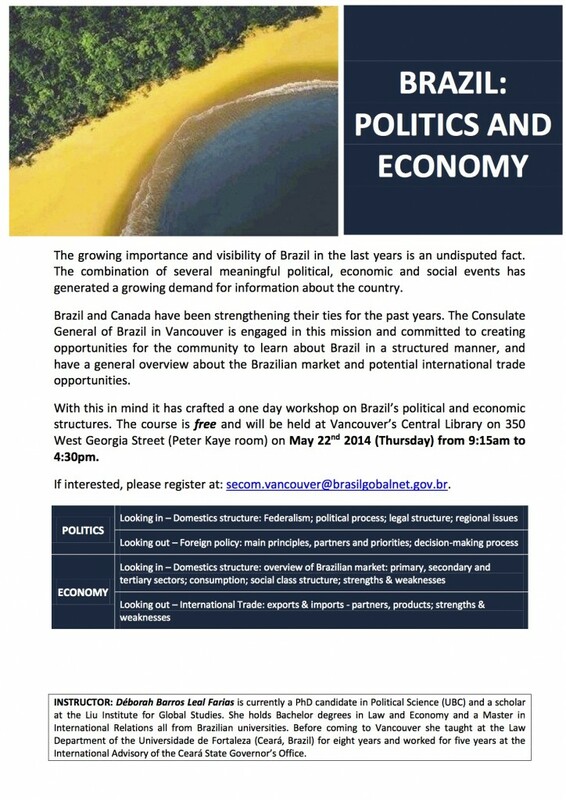 The Consulate General of Brazil in Vancouver is offering a one day workshop on Brazil’s political and economic structures. The course is free and will be held at Vancouver’s Central Library on 350 West Georgia Street (Peter Kaye room) on Thursday May 22, 2014, from 9:15am to 4:30pm. 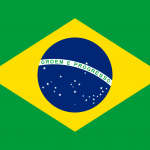 If interested, please register at: secom.vancouver@brasilgobalnet.gov.br. Instructor: Déborah Barros Leal Farias is currently a PhD candidate in Political Science (UBC) and a scholar at the Liu Institute for Global Studies. 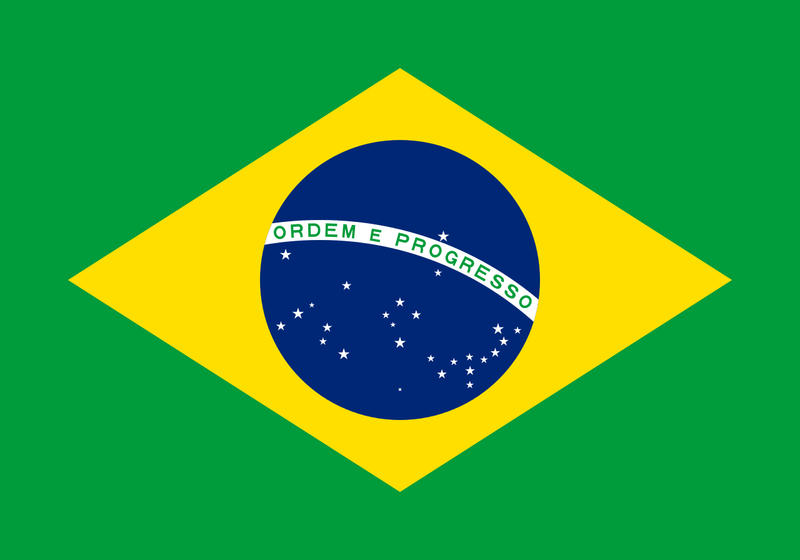 She holds Bachelor degrees in Law and Economy and a Master in International Relations all from Brazilian universities. Before coming to Vancouver she taught at the Law Department of the Universidade de Fortaleza (Ceará, Brazil) for eight years and worked for five years at the International Advisory of the Ceará State Governor’s Office.